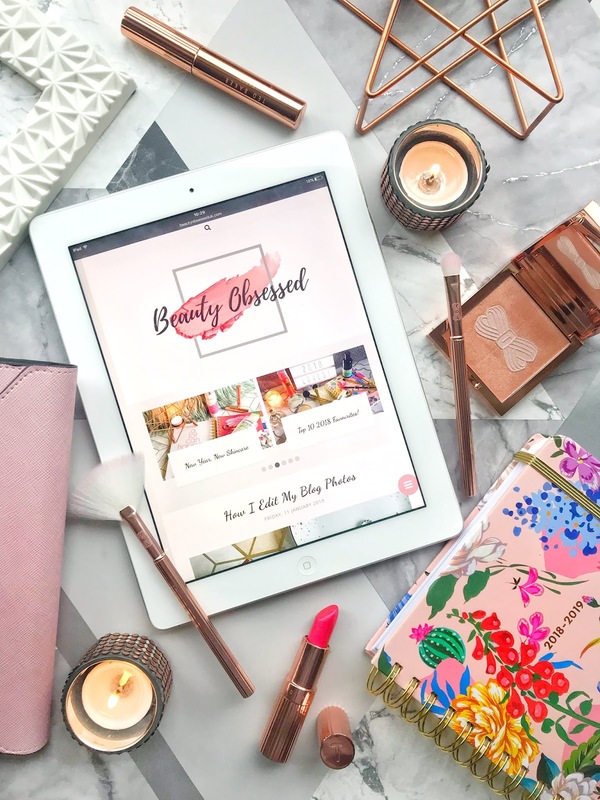 This months post is coming slightly later than usual because I've actually given myself the chance to try out all of the products that I received in this months box to give better first impression reviews. This month has one of my favourite designs on it (maybe because its pink) and it has also given me a product that is now apart of my everyday makeup routine. I'm going to start things off with my favourite product that I have received from this months box. 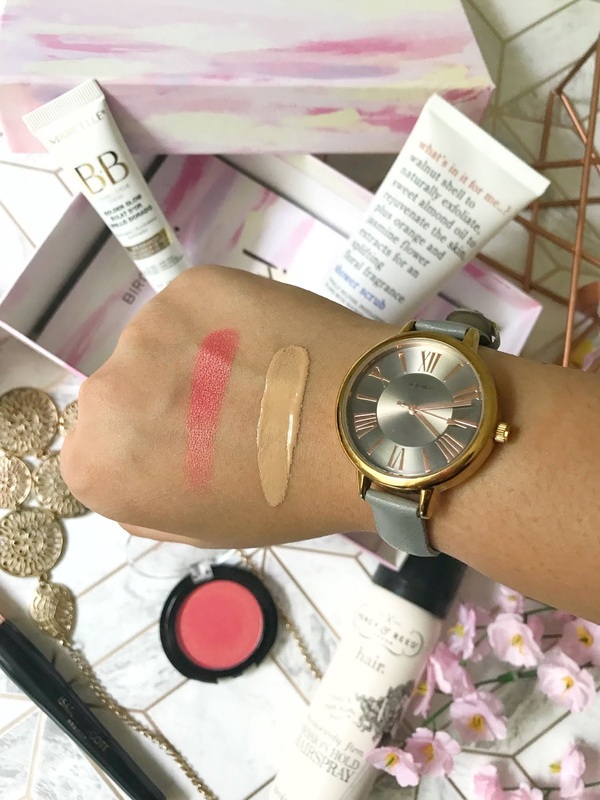 When I first saw that it was a bb cream before I even opened it I thought the colour was going to be too light for me but in fact, it was actually perfect for my skin tone. It's a light consistency which gives the skin light coverage but adds a really lovely glow to the skin. I have added this product into my everyday makeup routine by applying this product first them adding my concealer and a bit of powder on top just to make my skin more matte as this product leaves the skin looking dewy. 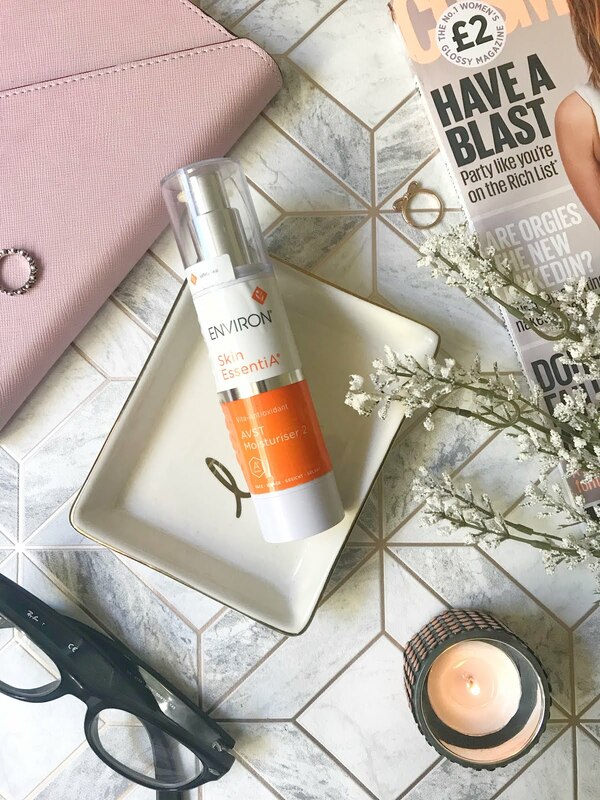 This product is something that I'm thinking of taking away on holiday with me because it's so easy to apply and leave the skin looking naturally refreshed. I am also planning of purchasing the full version when I run out of the sample size. I think this product is probably my least favourite out of what I've received, I do still like this product but I don't think I would repurchase it if I was to ever finish it. This is a multipurpose powder that can be used as blush or eye shadow, I've only tried this as a blush and it was slightly too red and glittery for me. I think this product might be nicer as an eye shadow colour because it is pretty pigmented. I also found this product quite hard to blend into the skin and it took some time to make it look blended properly. If I was to use this product again I would try to use it as an eye shadow colour if I am using different red shades. I have tried so many different hairsprays in the past and some I have liked but I haven't found one that I repurchase and I think this might just be the one. If I wear my hair up I tend to get flyaway's and bits of hair sticking up and this hairspray kept them down all day. This is a very lightweight hairspray and doesn't leave your hair feeling too hard. I also found with this hairspray that you don't need too much, only a couple of sprays and its enough. With this hairspray, it also just brushes straight out and doesn't leave any flakes of hairspray in your hair and because I have dark hair you can see when this happens which I hate. When I first opened my Birchbox you could smell this product straight away! It's a mixture of almonds and also a floral scent and the protective seal wasn't even off the product yet. The product is more of a gel-like consistency but it's actually pretty watery and spilt all over me when I opened it! I used this product in the bath before I shaved my legs and it actually helped to get rid of all my dry skin and ingrown hairs, this made my skin feel extra smooth once I had shaved. This sample would be perfect for travelling so I'm saving it for when I go on holiday next month, the sample size of it is also great because its only 50ml so it would also be great if you are only travelling with hand luggage. 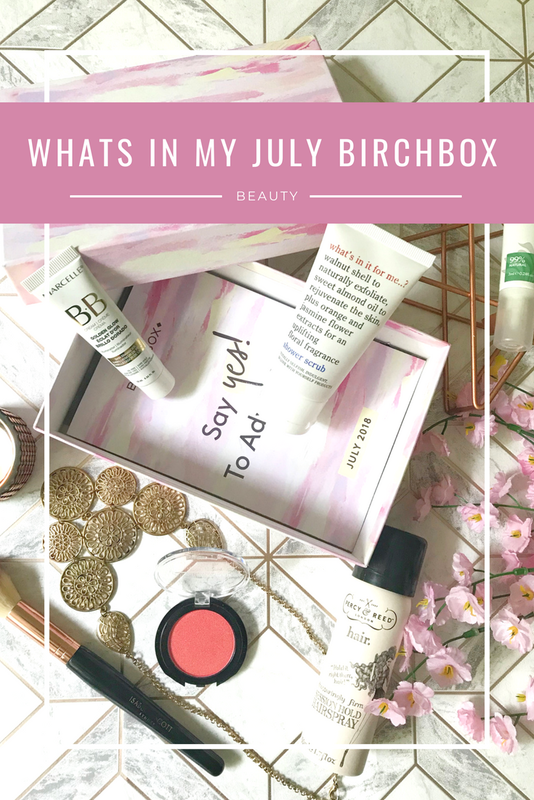 Recently I have been loving my Birchboxes and have received some really great products in each of my boxes that I will be repurchasing in the future. Have you tried any of these products before? 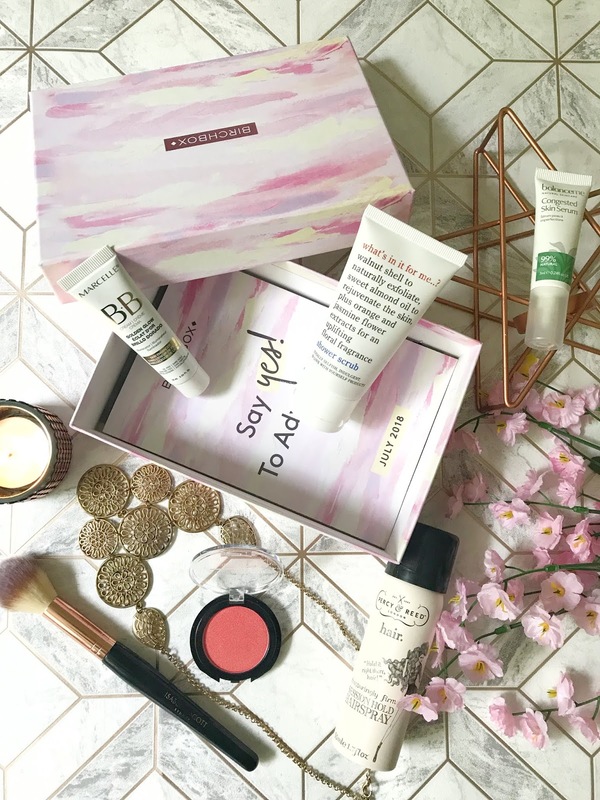 I have not seen a birchbox in ages! The box is so pretty! and the content is quite cool! the sizes are great! that hairspray looks super nice! Its a really great box! as you get to try out all different products that you might b=not get the chance to do! Ooh I've tried the whats in it for me scrub and I LOVE it! The scent of it is just gorgeous and they were one of the first brands I worked with! The BB cream sounds fabulous, I love things that give a slight coverage and are still lovely and glowy. I don't tell to wear full coverage heavy foundations anymore, especially not in this heat! I love the shade of that powder as an eyeshadow but I agree it'd be far too strong as a blush. My birch box also had the What's in it for me..? Shower Scrub, Balance Me Congested Skin Serum and the Manna Kadar Long-Wear Powder. I took the shower scrub with me on a break away and it was perfect for that but yes, I agree it was little watery for a scrub. The skin serum I love and has really helped clear up blemishes I had. I haven't used the Manna Kadar powder yet.